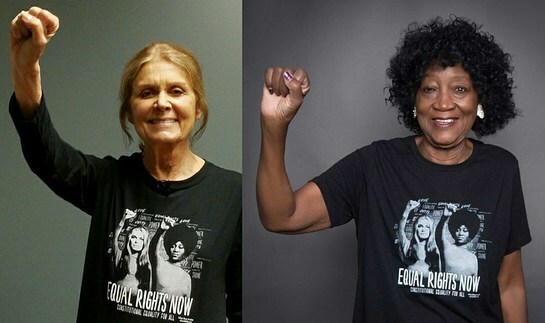 Feminist activists, journalists, and authors, Gloria Steinem and Dorothy Pitman Hughes, announced the release of a limited-edition charity T-shirt, Gloria and Dorothy’s Equal Rights Now Tee, to raise funds to support the growing momentum behind passage of the long-sought-for Equal Rights Amendment (ERA). ERA supporters across the U.S. are joining Steinem and Pitman Hughes, posting their own fist-pumping photos on Instagram and Twitter with the hashtag #equalrightsnow. In 1972, the Equal Rights Amendment was passed by the House and the Senate but fell short of the required number of states for ratification by the 1982 deadline. Earlier this year, Nevada became the first state in 40 years to vote for ratification of the ERA. Nevada’s action highlights the growing awareness of and support for the Equal Rights Amendment, which is needed to help women secure justice when they face gender-based discrimination and violence. Women get paid on average 80 cents for every dollar a white man makes, according to the American Association of University Women, even less for women of color. Over half a million of women are subjected to domestic violence every year, more than 1,600 of whom lose their lives as a result, as reported by the Bureau of Justice Statistics. Since 1971, the iconic photo of Steinem and Pitman Hughes raising their fists in solidarity has been recognized as an enduring symbol of women’s empowerment and the ongoing fight for constitutional equality. The image, by photographer Dan Wynn, now hangs in the National Portrait Gallery and in the Black Power section of the National Museum of African American History and Culture in Washington, D.C. Release of the iconic image comes in conjunction with the national Women’s Equality Day, August 26, 2017, which was also established in 1971. In the 46 years since the photo was taken, Steinem and Pitman Hughes continue to advocate for the ERA and are inspiring support across generations of women and men. 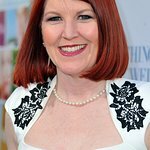 Gillian Anderson, Patricia Arquette, Kristin Bauer, Kelen Coleman, Lena Dunham, America Ferrera, Jane Fonda, Josh Gad, Chelsea Handler, Christine Lahti, Cyndi Lauper, Debra Messing, Bette Midler, Jennifer Morrison, Amy Schumer, Rainn Wilson, Joss Whedon, Jamia Wilson and Robin Wright are among the celebrities who have taken to Twitter and Instagram to share photos of themselves wearing the T-shirts and raising their fists in solidarity. 100 percent of the net proceeds from the charity T-shirt sales will go to support the ERA Coalition, a national organization working for passage and ratification of the Equal Rights Amendment to guarantee equality under the Constitution for women and girls. The ERA Coalition supports ERA initiatives in Congress and works with local and national organizations across the country to build a public constituency for the ERA, through outreach and education. “Gloria and Dorothy’s Equal Rights Now Tee” can be purchased immediately at Represent.com/equalrights. The shirts, which come in several styles for women and men, will be available for a limited time only. Since the 2016 presidential election, support for the ERA is surging, as growing numbers of Americans seek to address pay inequity, pregnancy discrimination, and gender-based violence. 94 percent of Americans polled in a 2016 survey said they would support an amendment to the U.S. Constitution that guarantees equal rights for both men and women. Women’s Equality Day was originally created in 1971 by Rep. Bella Abzug of New York City, to commemorate the 1920 certification of the 19th Amendment to the Constitution, which granted women the right to vote. Women’s Equality Day not only commemorates the passage of the 19th Amendment, but it also calls attention to the movement for passage of the Equal Rights Amendment, which will guarantee equality under the Constitution for women and girls. Bringing together more than a hundred organizations and millions of women and men, the ERA Coalition is a national organization that is building a successful coalition for passage and ratification of the Equal Rights Amendment (ERA) and promoting greater public understanding of the need for equal treatment of women under the law. Go to www.eracoalition.org for more information.